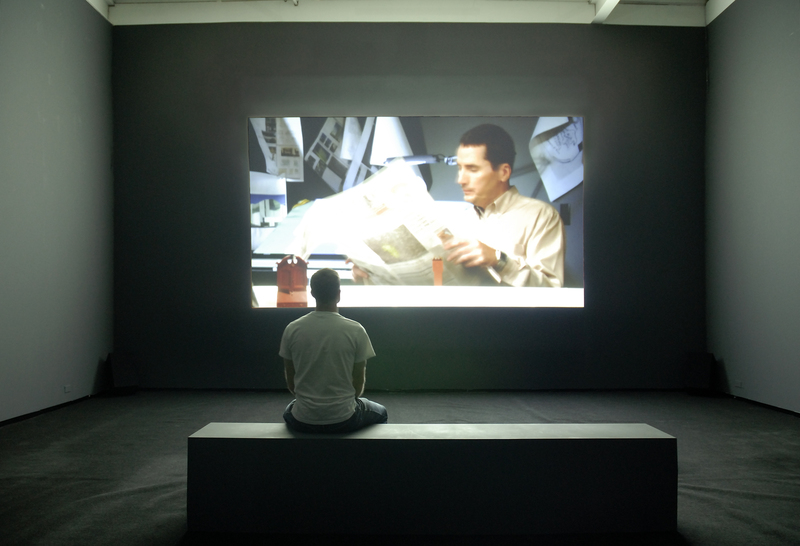 This exhibition debuted Radul's single channel projection work entitled Describe Video alongside Five Pieces of Relation, which premiered at Art Basel Miami Beach in 2006, and a third work, entitled Concrete Objects. 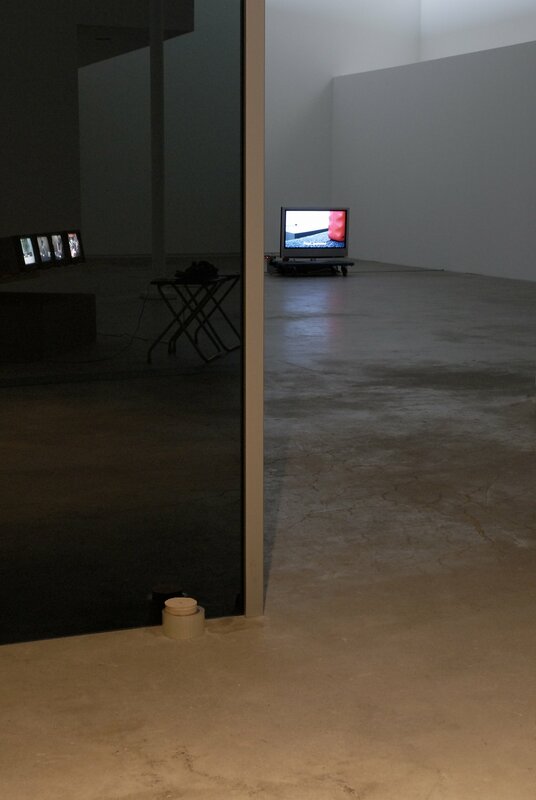 Known internationally for her rigorous media-based practice, Radul employs video and installation works, performances, readings and theoretical writing to engage philosophical questions that relate to the concerns of performance-based work. 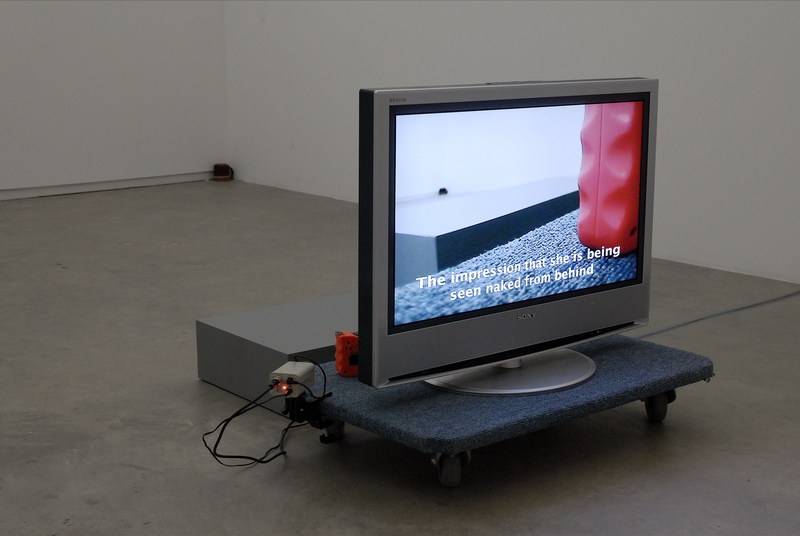 An ongoing subject in her practice is the question of being “live” and how this relates to animatedness. 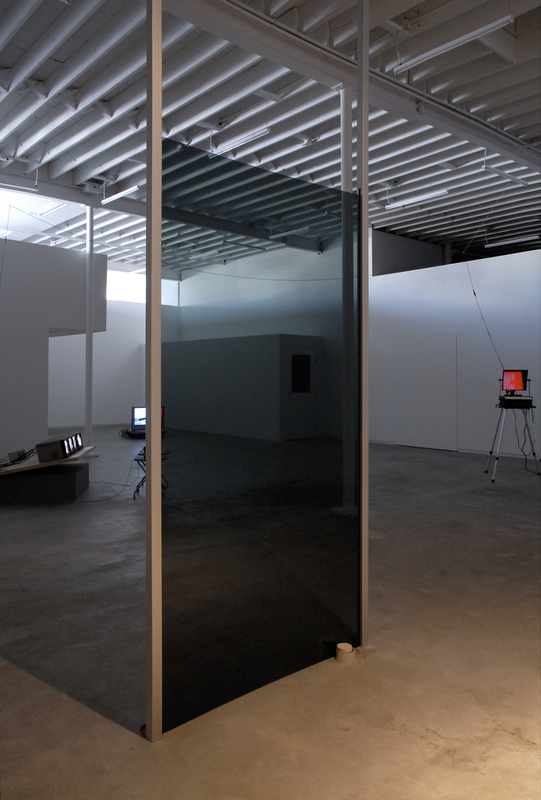 In several recent works Radul has explored how certain technologies force different states of being into the foreground of perception. 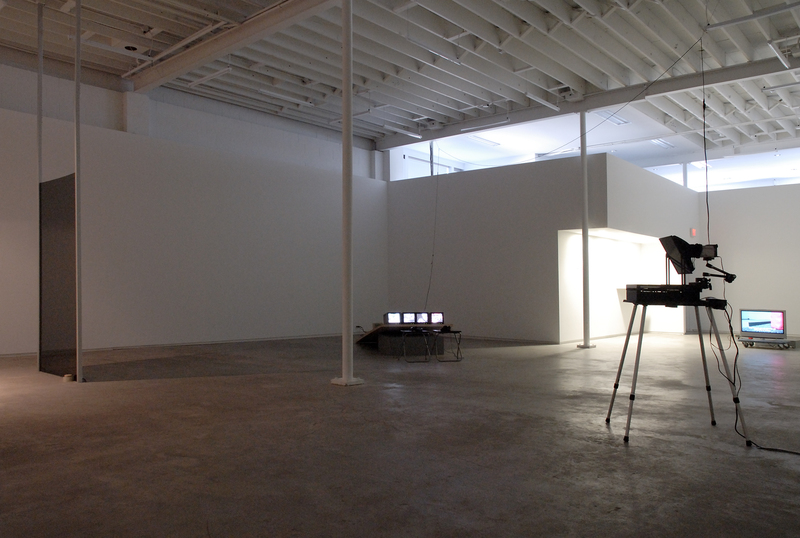 Following up Radul’s recent five-channel installation Downes Point (2005), the work Describe Video presents a meditation on how the camera functions. 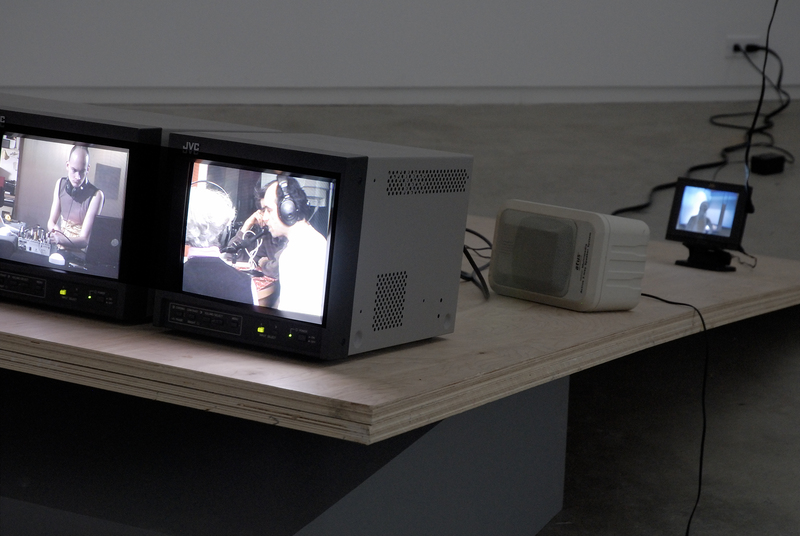 In this short narrative single-channel projection work, two blind actors play the roles of sighted characters. Using a cinematic mode of shooting and presentation, Radul applies tricks such as eye-line matching and shot, reverse shot editing to connect the gazes of the protagonists with each other and with what they are looking at. 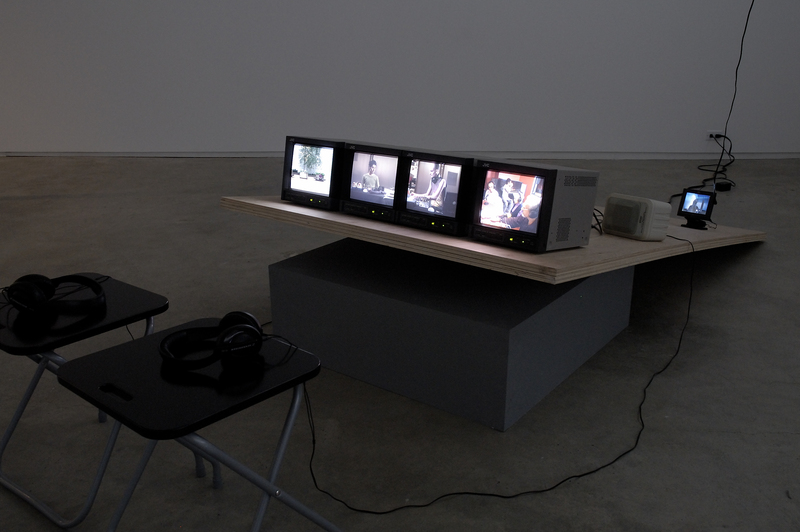 One idea proposed in the piece is the way in which conventional camerawork (such as used in television and Hollywood cinema) relies upon camera identification to bring the viewer to the point of view of the characters. In Describe Video, this functions to explain the story by at least partially overlooking its subjects. The blindness of the actors stands in for the real blind spot exposed in the work—the camera’s focus on sight as the principle means of relating. Underlying all that occurs in the visual track is a soundtrack that carries dialogue, ambient sounds and music. 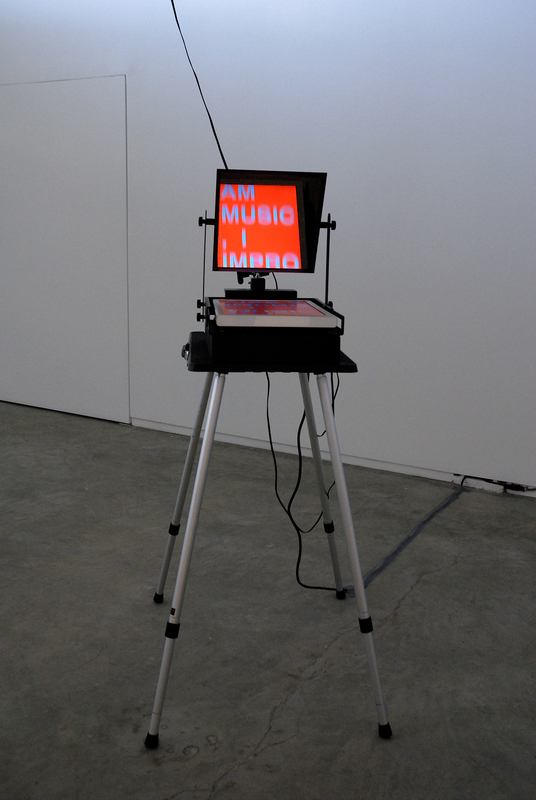 Over this, an additional “described video” audio track attempts to translate visual information into spoken words. Each of the work’s descriptive systems is explored for its limitations; the contradictions and continuities between them suggest greater partialities that call into question the cinematic assigning of causality and systems of relation. Displayed over live feed footage in the exhibition space, the sequence of superimposed titles in Radul’s work Concrete Objects (2002–2007) consists of all of the examples that Merleau-Ponty used to illustrate his 1945 essay “The Thing and the Natural World.” Carrying on the thread of continuity and response, Five Pieces of Relation is composed of four studio monitor and dvd setups, a speaker, three audio tracks, two sets of headphones and a teleprompter. 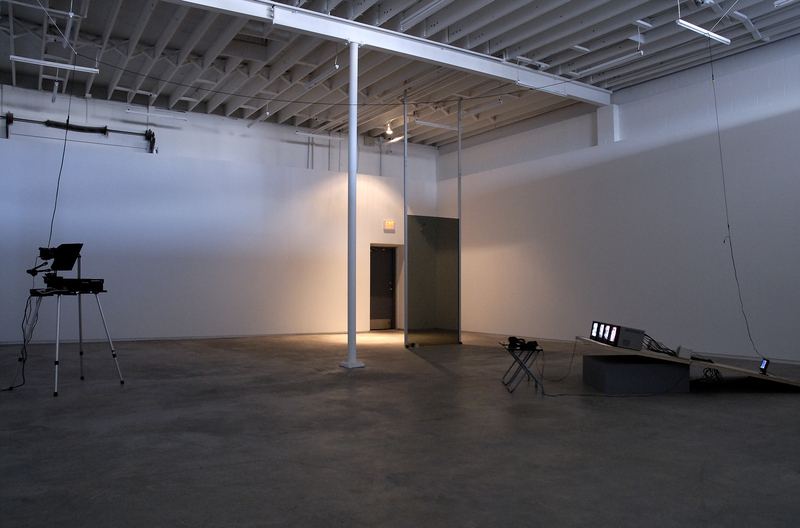 Through a circuit of visual and auditory components, Five Pieces of Relation turns on the question of what it is to respond—and how this constitutes human beings as something other and beyond non-human animals.